After catching the end of the last stellar support – Olivier St.Louis, a member of Oddisee’s tight live band who had come to the forefront of ‘Good Compny’ to give us a taste of his particular flavour of groove; the crowd could not get enough of the crazy funky instrumentals and wanted more. Oddisee and the band effortlessly flowed through songs from ‘The Iceberg’ plus others from his earlier albums. The sound was crisp and Oddisee’s cutting analysis of everyday life, American politics, race divides and social inequality was mesmerising. The set was a fantastic mix of hard hitting bars from Oddisee, sections of funky beats, soulful vocals and solos from each of the band members. A few of the highlight tracks were ‘That’s Love’ , ‘Own Appeal’ , ’NNGE’, ‘Like Really’, ‘Want to Be’ and ‘This Girl I know’ among many more. We were having a blast and so were they. Oddisee was engaging and he and his band were laughing, dancing and having just as much fun as the crowd. One of the highlights was Ralph Real the keyboardist and soulful singer who doubled as backup dancer and twerking hype man. He received many a handshake at the end of the set. I went with a friend who wasn’t as familiar with their music as me but said she couldn’t wipe the smile off her face the entire time. Although I could have listened to them all night I left satisfied with a big grin on my face. 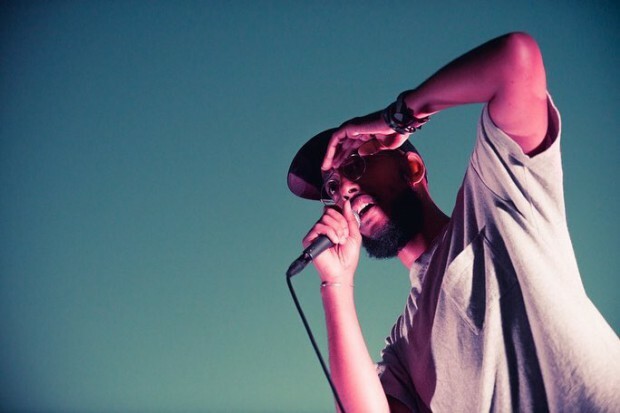 Sudanese-American artist Oddisee is the second rapper from D.C. I have been absolutely blown away by. If an uplifting mix of hip-hop soul and a talented live-band is your thing don’t miss these guys next time they are in town.